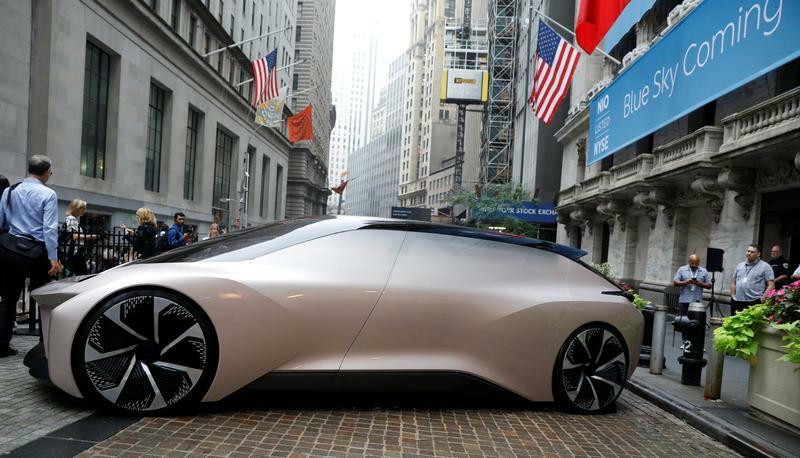 Chinese electric vehicle start-up NIO Inc. vehicle is parked in front of the New York Stock Exchange (NYSE) to celebrate the companys initial public offering (IPO) in New York, U.S., September 12, 2018. Shares in electric-car maker Nio jumped 76 percent in their second day of trading on Sept. 13 to close at $11.60. The Chinese company’s initial public offering on the New York Stock Exchange priced at $6.26 on Sept. 11, at the low end of the indicated range.